Join us This Thursday March, 24 on the deck for an evening joined by our friends at Federal Cigar! Cigars will be available for purchase, scotch recommendations, and more. 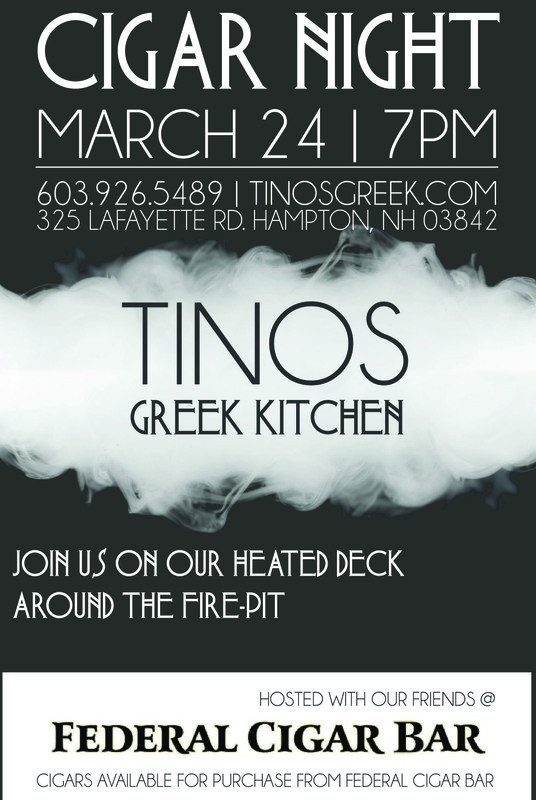 The fire pit will be toasty, the heaters on, and as always our full Greek menu is available!